This wardrobe's six panel door design was inspired by the room's original Regency era doors. Traditional end panels add to the period look. The doors and face frames are constructed in solid timber and painted. The house's original vintage cupboards can be seen in the background. 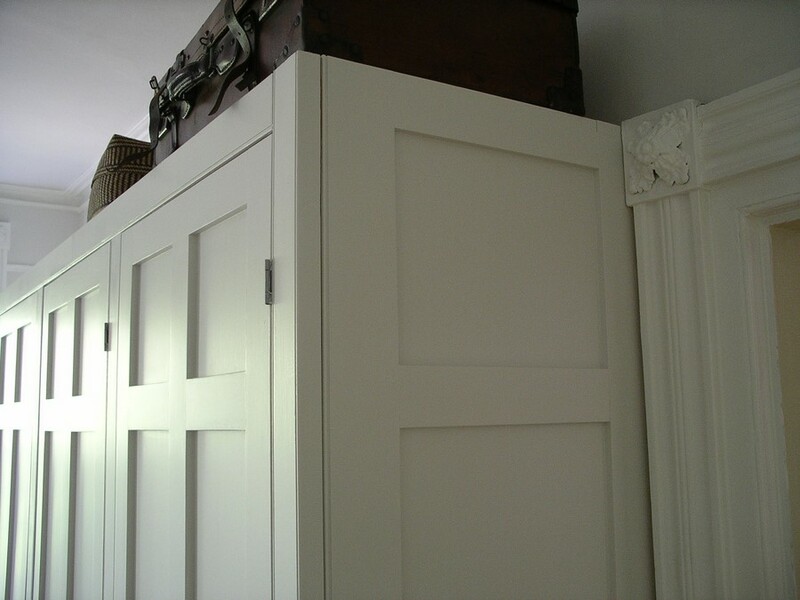 a matching cupboard was built into one of the alcoves.